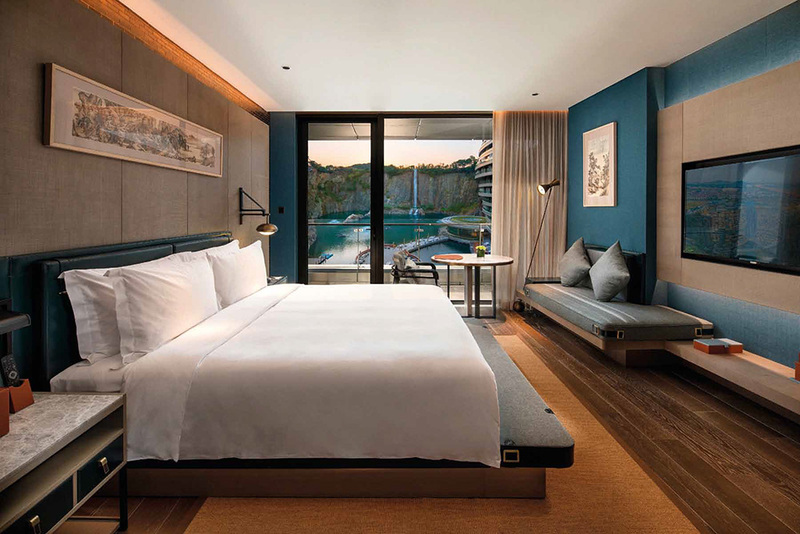 Twelve years in the making, the 336-room InterContinental Shanghai Wonderland rises from the pits of an abandoned quarry in China’s Sheshan Mountain range. 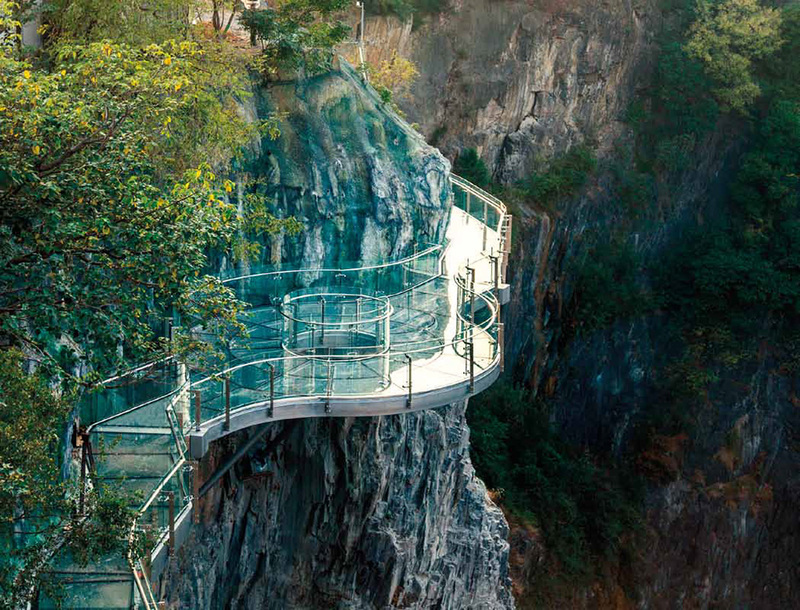 As the glass lift descended 16 levels below ground, the landscape changed bewilderingly. First, barren trees signaling winter. Then a rapid plunge into a once-abandoned quarry – with curved, graveled walls melding into rows of immaculate glass balconies. At the bottom, a viewing platform somewhat resembling a science-fiction UFO landing pad appeared, dotted with fellow travellers. My first experience of the newly opened InterContinental Shanghai Wonderland was as otherworldly as I’d imagined. Turns out, this was exactly what the architects had envisioned – to let guests feel like they’re plunging straight into the centre of the earth. While any city hotels take pride in being skyscrapers, IHG’s 200th hotel is special is built into the depths of an abandoned quarry in China’s Sheshan mountain range. Conceptualised by Martin Jochman, one of the designers of Dubai’s Burj Al Arab, the bold architecture is a reflection of the hotel’s natural surroundings. Conceptualised in 2006, the project faced various challenges, including meeting strict earthquake regulations and maintaining water levels. These having been solved, construction began in 2013. Guided by feng shui principles, the grass-covered dome of the building resembles rolling hills, while the glass elevator cascades like a waterfall. The building’s contours blend in with the quarry. While subterranean hotels aren’t unknown, InterContinental Shanghai Wonderland takes things to the extreme by extending 88 metres underground. The only two levels above ground welcome guests with a grand lobby, complete with fountain, and the steam punk-style Quarry Bar. The other 16 levels are below ground, encompassing 336 rooms and suites, a spa and an underwater restaurant. All rooms offer incredible views of the quarry’s cliffs and waterfalls from their balconies. My Classic Room’s colour scheme was a comforting combination of warm, woody browns with denim blues. 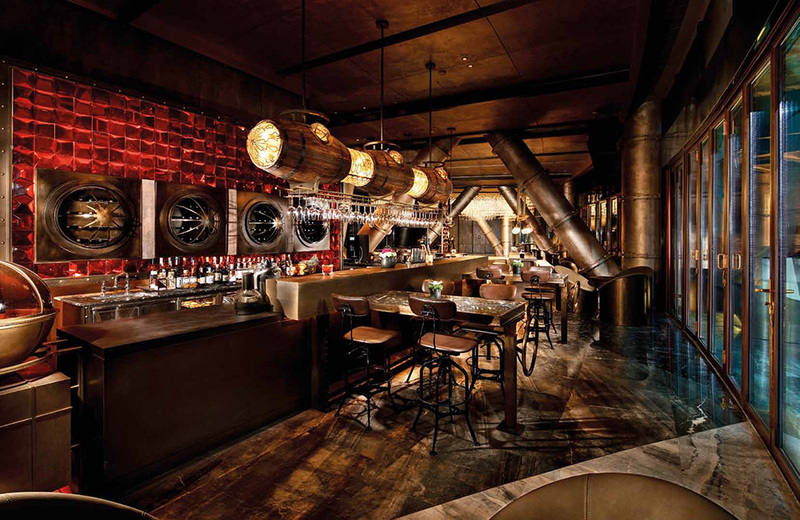 Brass piping and stud accents added an industrial look to the handles and walls, alluding to machinery used in quarrying. There was buckle detailing at the edges of sofa and bed, a large free-standing tub in the bathroom, as well as an in-room voice-activated smart assistant called Xiao Du, which does things like closing the curtains. Adding to the luxe factor, the rooms come with Dyson hair dryers and Salvatore Ferragamo toiletries. The crown jewel here are the underwater suites, which take up two of the 16 underground levels. Offering a loft design, these suites feature a landing deck at water level, which houses the outdoor terrace and living room; while the underground bedrooms are encased within an aquarium. Forget about the television as you watch the schools of fish swim by instead. Designed for full-fledge pampering, these suites also come with round-the-clock butler service. Those who don’t fancy sleeping with the fishes, can choose to dine in their company. The headliner restaurant is Mr. Fisher, located one level before the water surface. Like the underwater suites, the restaurant is enveloped by a massive aquarium, where giant manta rays, sharks and colourful fish make their rounds. Be mesmerised by their curious and playful ways as you tuck into beautifully plated seafood dishes that are equal parts comforting and fresh. For authentic Chinese cuisine, head to Cai Feng Lou, which specialises in regional specialties from the Zhejiang and Guangdong provinces. Expect flavourful double-boiled soups and braised meats, and exquisite morsels of dim sum. Taking advantage of the unique quarry setting, the hotel offers outdoor activities, such as zip lining, kayaking and rock-climbing, allowing guests to marvel at the landscape from various vantage points. The best views of the vistas, though, can be experienced from a glass-bottom bridge accessible via a somewhat derelict children’s theme park just across the hotel. Within the hotel, there’s also a gym and a heated pool. The latter makes a lovely hideaway on brutal winter days. At the moment, there’s little to do in the vicinity of the property, although a newly renovated mega mall and other entertainment facilities are promised. For now, InterContinental Shanghai Wonderland is a destination of its own, drawing tourists with its photo-worthy extravagance – executed with class, thankfully. 5188 Chen Hua Rd at Ding Yuan Rd.